Intellectual property theft has been a main concern in U.S.-China trade relations for several years. Whether it is via cyber espionage or patent and copyright infringements, the U.S. has major issues with the continued lack of enforcement by the Chinese government regarding the protection of global intellectual property rights. It has been estimated by the Commission on the Theft of American Intellectual Property that over $600 billion a year has been taken out of the U.S. economy and the Chinese government is the main offender. 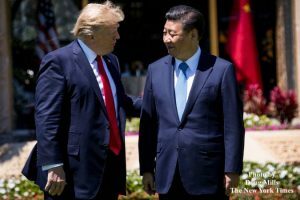 Recently, President Trump had indicated in a Reuters interview while at the Davos economic summit, that the U.S. would consider “fining” China for these actions that they currently deny. In addition the U.S. Trade Representative Robert Lighthizer in August 2017 implemented an official investigation into China’s intellectual property practices under Section 301 of the Trade Act of 1974. If the investigation shows these practices to being unreasonable, discriminatory, burdensome, and restrictive to U.S. commerce, “it has the authority to take appropriate and feasible action, under section 301”. Trade tariffs on Chinese goods would be very likely since the President repeatedly brought it up during his 2016 campaign. The issue behind this isn’t just theft of trade secrets. It is also the concern that visiting companies in China are forced to give up their knowledge, ideas, and intellectual property for the sake of gaining market share in the vast Chinese economy. As a result it is believed that this information is used to intentionally give local Chinese firms an edge and preference in business over foreign firms that brought it into their country in the first place. This alone and the constant hacks caused by the Chinese cyber warfare division provides a viable case for either trade war or renegotiating existing trade treaties, that ensure they increase their policing of intellectual property crimes and leveling of the playing field. 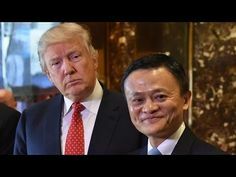 However, this will not get resolved anytime soon and Jack Ma’s Alibaba Group (BABA) will most likely become a top target by the administration since he is one of the wealthiest men in China with very close ties to the Chinese Communist Party. This Chinese Internet giant rivals Amazon (AMZN) with their e-commerce, cloud computing, digital media and entertainment, and innovations. In addition, their global growth projections are considered to being significantly higher in the long term if China’s Belt and Road Initiative (BRI) is fully implemented with the creation of free trade zones and massive land-based infrastructure projects that connects over 60 countries in Asia, Eurasia, Europe, Middle East, and Africa. Alibaba has a huge presence throughout the world. However, their market share in the U.S. is relatively small when compared to similar sized companies like Amazon and Wallmart (WMT). 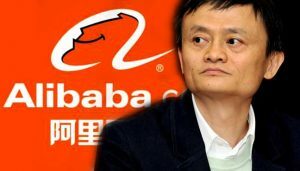 The United States Notorious Markets List has blacklisted Alibaba’s online trade platform known as Taobao since December 2016 as they have been reported to have a “large volume of allegedly counterfeit and pirated goods available” on their site. As trade protectionism seems imminent given the administration’s stance on holding intellectual property rights violators’ accountable and streamlining efforts to combat counterfeiting and piracy, Alibaba is sure to continue finding itself butting heads with the administration’s objective in each endeavor they work to increase U.S. market share. A recent example was the Committee on Foreign Investment in the U.S. (CFIUS) blocking of the Alibaba Ant Financial $1.2 billion purchase of Money Gram (MGI). Ant Financial is the Alibaba affiliate that operates their mobile wallet, Alipay and other financial services. The deal would have connected the U.S. to its existing mobile payment network beyond China and into Southeast Asia, India, Korea, Japan, and other parts of Asia. The CFIUS rejected this massive deal due to the concern that private citizens financial data (private loans and debts) can be identified and used against U.S. citizens to get them to commit espionage. Future scenarios in the U.S.-Alibaba-China triangle could revolve around Alibaba’s attempts to work with U.S. retail brick and mortar companies in their struggles to compete online with conglomerates like Amazon and Walmart. For example there is a potential partnership in the making between Alibaba Group and America’s largest grocery store chain, Kroger Co (KR). Krogers has been trying for years to develop an online delivery service but lacks the technology and e-commerce capabilities that Alibaba’s Alipay digital payments platform and e-commerce site has, which is very similar to Amazon’s cashier-free Go store prototype. Such a deal would have a massive impact on both the retail and online commerce sectors both in the U.S. and abroad. From a national security perspective this friction between the U.S., China, Alibaba, and other Chinese companies is very relevant since the administration is trying to put more emphasis on cyber security and personal data protection, since EQUIFAX-like scandals and U.S. government OPM (Office of Personnel Management) security breaches containing private information and security clearances of U.S. government and contracting employees are becoming more common these days. Overall, trade protectionism is quickly becoming synonymous with these ongoing concerns.